www.thebudgetedcloset.com The Budgeted Closet : JABONG LAUNCHES THE WORLD’S FIRST SHOP-ABLE FASHION WEEK!! JABONG LAUNCHES THE WORLD’S FIRST SHOP-ABLE FASHION WEEK!! Helloo fellow (that rhymes!) fashion enthusiasts!! Each year, we hold our breaths and wait to see our favourite designers and models on the ramp! Lovely clothes flowing gracefully, dancing to the music. And when the fashion weeks end, we are left wanting for more. Well, here is good news and more good news!! Jabong recently launched the India Online Fashion Week (IOFW) and I jumped for joy!! 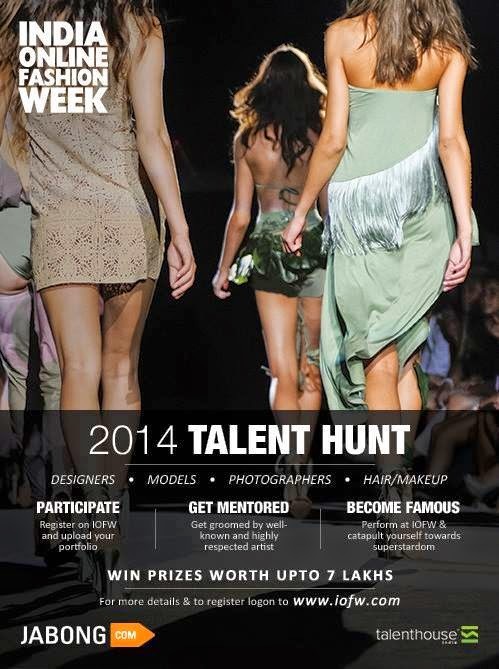 Jabong, in association with Talenthouse India, is going to make history and we are going to be a part of it! A talent hunt is being organized across the nation for budding designers, makeup artists, hairstylists, models and photographers. This event will serve as a launchpad for those aspiring to make it big in the industry.The registration and voting is over now and the winners will be announced on 7th July.The winners will be groomed by a celebrity mentor. I am not going to miss this for the world and neither should you!! SPREAD THE WORD!! For more information, visit www.iofw.com and www.jabong.com/india-online-fashion-week/.